I listen to a lot of tech podcasts and many of them have had discussions lately about what’s wrong with the Mac App Store. The level of rant against the Mac App Store has become so high that I feel compelled to voice my own opinions. I’m going to try very hard not to call out any people or products but keep this a generic discussion. First of all, the rants I’ve heard are all from the point of view of the developers. While the developer’s needs and concerns are valid, theirs is not the only point of view to consider. None of these discussions seem to take into account the needs and desires of the Mac user. I can only speak for myself, but I love the Mac App Store. I love that I can buy an app, and get it on all of my devices. I love the fact that those on my Family Plan can also get access to any apps I buy through the Mac App Store. I love that I can do a nuke and pave and get all of my apps back by just clicking in the store, instead of navigating to each developer’s website and hunting down my license keys. A couple of years ago I bought a $100 app directly from a developer for which I get high value and I enjoy using. When I bought my MacBook to supplement my MacBook Pro, I was furious to discover that the license agreement didn’t allow me to use this very expensive app on my second Mac. I know that 30% of the cost of an app goes to Apple, but when a new version came out, you can be sure that I switched to the Mac App Store version, even though I could have bought an upgrade for far less money directly from the developer. I love that the Mac App Store isn’t the only way I can get apps for my Mac. Utilities like App Delete will never be allowed in the Mac App Store, but I can still go get it on my own. TextExpander is too far reaching for the Mac App Store also but it’s 100% worth it to get it directly from Smile. We have the flexibility to get the tricky cool tools directly from the developers and to get mainstream apps through the Mac App Store. Best of both worlds. Apple’s 30% cut has been a sore point for a long time and recently this was highlighted with Spotify complaining rather loudly about it. I’m not sure having the same recurring fee for a subscription service as for apps makes any sense at all so I think Spotify may have a point. And let’s not forget that Apple is now taking 15% off subscriptions in the second year a user keeps the subscription. I’d rather talk about the 30% in context of normal, non-subscription apps. One developer complained about the 30% during a podcast recently with the statement, “I think the richest company in the world could afford to take a smaller cut.” That evoked so many thoughts for me. First of all, how do you think Apple got to be the richest company in the world? It wasn’t by having razor-thin margins, was it? This conversation drove me nuts because the argument for why Apple should cut their margin was because Spotify had a razor-thin margin! Why is it Apple’s responsibility that they chose to be in a business with such low margins? I don’t get that argument at all. I think it’s a valid comparison to look at what cut Amazon takes when you self-publish an eBook. According to Amazon’s Direct Publishing guidelines for Kindle books, the author gets to keep the grand sum of 35% of the selling price of their book. Seriously, Amazon keeps 65%. And they give you a range of what you can charge for the book. That’s the standard policy, but if the author agrees to some further restrictions, she can get a better deal, keeping 70%. But to get the Amazon Kindle deal to be as good as the Apple deal is for apps, the author has to agree to have the book exclusively on Kindle, and it has to be part of the Kindle all-access program (where you don’t get full price for your book). So…is Apple’s 30% cut a bad deal for apps? I could go on and on but do you see how many things are behind that simple word “server”? My point is not that Apple is barely scraping by. They’re clearly raking in money hand over fist. With average gross profit margins (profit before tax) at around 40%, they aren’t hurting. We don’t know exactly what margins they make on apps but their services business appears to be in line with that average. My point is that they built this business to make money, they’re responsible to the shareholders for making that profit, and to say that they should lower their margins just because someone else chose to be in a low margin business is just plain silliness. Some of the people who complain so much about the 30% cut don’t take into account how much better their exposure to customers is with the Mac App Store. I know it’s hard to get noticed, but I believe it’s easier in the store than it is to be found on your own website. 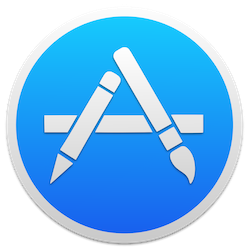 I don’t want to leave you with the impression that I don’t think improvements could be made to the Mac App Store that would benefit both the developers and customers. For example, I think both sides would love to have the Mac App Store allow free trials. That benefits both sides. Just yesterday I spent 10 minutes pondering whether to part with the giant sum of $3 for an app just because I wasn’t sure it was going to do what I wanted it to do. You’ve been there, right? I also think it would benefit both sides if developers had ways to contact their customers from the Mac App Store. Getting notifications of new versions, having a communications path for problems, being alerted to discount codes, all of these things would help the users and the developers. But saying that the Mac App Store is a horrible disaster as some of these louder folks have said kind of makes my head explode. Ok, I’m done with my rant, thanks for letting me get that off of my chest. Well said, Allison. You wrote the post I would’ve written if I had time, but you said it much better than I could’ve. Bravo! Trials directly in the store would be nice, but also upgrade pricing. The bundle workaround for upgrades in the iOS App Store is ok, but I don’t see it on the Mac side. I so love the Mac App Store. Being able to reformat a Mac and just redownload all apps with no hassle at all. Super !